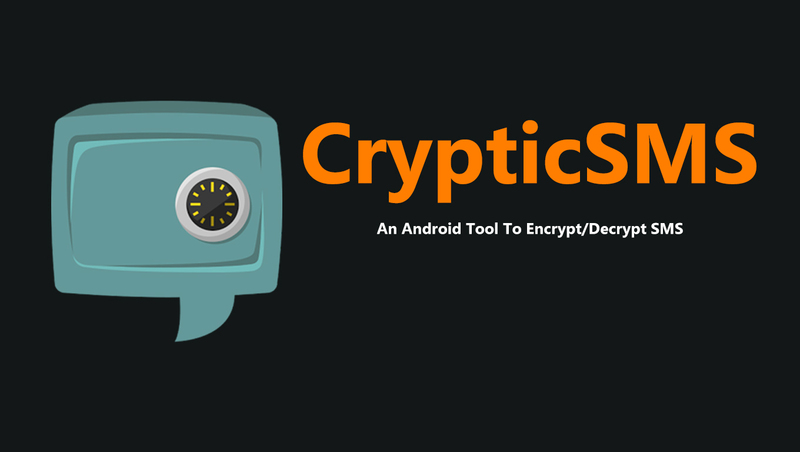 Yes, you read that right.. CrypticSMS is an android app that can encrypt/decrypt SMS. The app is not very difficult to use, the simple user interface allows anyone with a basic knowledge of encryption to use the app. Note: This app uses an old encryption technique, so you might find it difficult to use in real life situations. 1. 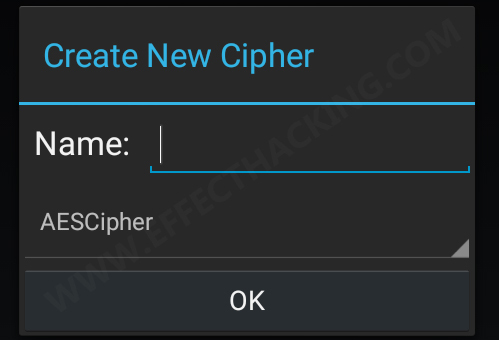 Download and install Cryptic SMS on your android device. REMEMBER: The sender and the receiver device must have Cryptic SMS installed on them. 2. Open the app, you will see a screen as shown below. 4. Enter a name for the new cipher and then select a cipher. Then tap on "OK". If a configuration screen appears, configure the cipher as you want and then tap on "OK" (See the typical configuration screen below). 5. After entering the key, tap on the cipher that you just created. You will see an empty window with four options, it is a message box actually (see the image below). 6. Type in the message that you want to sent. Then tap on the "Encrypt" button. 7. After encrypting the text, tap on "Send". then a lot of options will pop up (it depends on your installed apps). Select "Messaging" and then enter the number of recipient. Then send the message. 1. Copy the received message and then open Cryptic SMS app. 2. Add the same cipher in the same configuration as in the sender's device. Then tap on it, paste the SMS on the message box. The message should now be displayed. That's all, If you find this article worthy, please share it with your friends and followers.